Selling a property can be a sometimes daunting and complex undertaking. We regularly see first hand how sellers fall short in attaining the optimum sale price. That’s why we offer the Provincial Group expertise and experience to assist you to decide the best approach while protecting your interests when selling. Inspection of the property, providing an impartial opinion of the property’s likely selling price range and guidance on preparation, presentation and the best marketing campaign for the property. Selection and appointment of a real estate agent who will conduct the sale in a very professional manner and obtain the best possible outcome for you. Monitoring the marketing campaign and liaising with the selling agent to ensure they’re delivering the best professional service you are expecting. Advising you on the best time to sell based on local market conditions and the method of sale (auction, private sale, or “off market” sale). The most important feature of this exclusive service is that our fee is part of the negotiated and agreed selling agent’s commission, and this is only payable when the property has been successfully sold for you. So, there is NO additional cost for you to use our comprehensive specialist service. How we SELL your property for your maximum outcome. We all like to know who we are ultimately going to be working with. When using the Provincial Group team for any of our services we like to get to know you, and you us. After all, we are acting on your behalf and need to understand your needs, expectations, drivers and motivation for your decisions. We want to completely understand your objectives and expected outcomes so we can deliver on that. We can meet at our office, in your home, over even over the internet if you are interstate or overseas and want an expert to work with. Our consultations don’t cost you a thing, as you do not pay for our service until you have a result. Of course when you do decide to use our services we will then need to inspect your property as well. After our initial exploration session to get to know and understand you and your requirements, we follow our proven methodology to obtain you the best possible outcome for the sale of your property. Using our extensive property data subscriptions we prepare a report outlining information relating to comparative properties and locations that have recently sold or are currently for sale. This report is based on a 5km radius from your property. The systems we subscribe to offer an opinion about what your property may be worth using the available data. The data will suggest a market value of your property. This assumption, however, does not take into account the individual features of the property (eg. renovations, inclusions, and the uniqueness of your property) however it is a good guide as a base assessment from where we commence our conversation. The pricing typically aligns with our conversations with you and the overall average sale price within a 5k radius of your property. Our next step is to fine tune the property value by considering the additions, uniqueness and inclusions with your property. We use our experience, knowledge, research and understanding of the Agents in your area, along with our checklist of criteria in selecting you the right agent to sell your property. Your Provincial Group vendor expert will pool the results across all the local agents who would typically be considered as an agent for your property. We assess the results across all sales within a 5km radius of your property within the last 6 – 12 months. 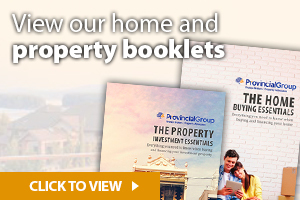 Their typical portfolio of properties to assist with experience in selling a property similar to yours. Together we select, meet and engage our preferred agent, or you can leave that up to us as well, knowing you are in our very experienced hands. We act in YOUR best interest for the planning and marketing activities, including negotiating and confirming the expenses to achieve the desired outcome for the sale of your property. We will only ever recommend to you, what we would do ourselves. We will not waste any of your marketing dollars on activities that are known to not produce results. If your property needs some attention, you may choose to use our recommended team of service providers to help you get your property looking good for sale. Take the pressure off yourself. Because this is business for us, we do not get emotional about your property. (Actually we do love to celebrate with you at the end of the process). At all times we are professional in our approach, acting as your adviser and confidant to ensure you obtain the maximum price that is potentially available throughout the negotiation process between agent and potential purchasers. communicate with you throughout the whole selling process. We effectively manage the complete sale to settlement process, leaving YOU with MORE TIME and LESS STRESS. The fee for our services comes out of the pre-agreed agent’s sales commission. This means that we invoice the agent (NOT YOU) at the end of the process, and the agent pays us our portion (typically 33%) from the pre-agreed commission that you had approved at the beginning. In other words you get our fantastic service included within the agent’s sale fee. The fee is only payable IF you achieve a successful sale. WHAT ARE YOUR POTENTIAL COSTS IN SELLING YOUR HOME OR PROPERTY INVESTMENT? The below is an indicative guide to provide you some insight to costs you may pay in selling a property. Our experience is that most of our vendors will invest about $2,000 – $3,500 + GST for a 4-6 week campaign. And ONLY if we believe it is absolutely required. Between $1,300 – $1,600 plus GST. (Lower rates may apply for using a Conveyancer). $3,500 – $7,500 plus GST. a mixture of a flat rate percentage up to a certain price and then a bonus percentage above an agreed price level for achieving a great result. Our Advocacy result fee is typically 33% of the appointed agents pre-agreed commission. WHY WOULD AN AGENT SHARE 33% OF THE COMMISSION? Vendor advocates are typically seen by leading selling agents as a greater connection point to multiple ongoing listings as Vendor Advocates represent and potentially introduce multiple vendors over time. Secondly, because we are so heavily involved with the process, and effectively helping selling agent with the sale from the beginning until settlement , they understand and appreciate the efficiency and communication value we bring to the table in achieving the ultimate outcome for our collective vendor.